When will 5G arrive in Brazil? 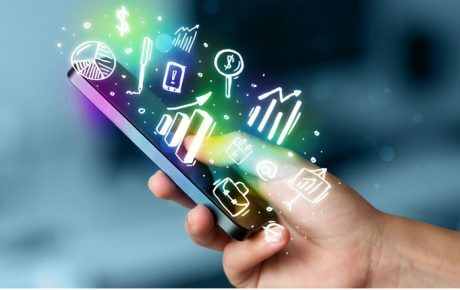 Superfast 5G, the fifth generation of mobile communications, could be launched as early as next year in countries such as the U.S. and China. The new technology promises download speeds up to 20 times faster than we have today. Many believe that it will be pivotal for self-driving vehicles to operate based on real-time traffic data, and it will make it possible for doctors to perform surgeries away from their patients – by controlling robots connected to the internet. In Latin America, however, 5G should only become a reality in 2020 – and is unlikely to be massified before 2025. 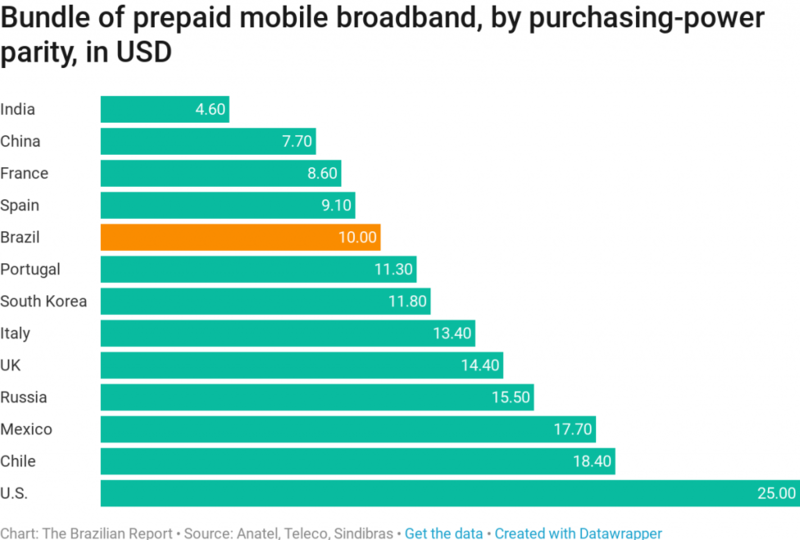 According to GSMA, which represents the interests of mobile network operators worldwide, it’s impossible to know which Latin American country will pioneer the technology (Chile did it with 3G and Uruguay with 4G). 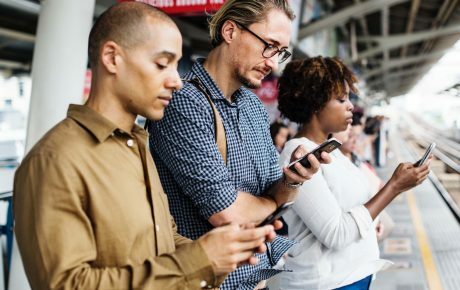 Today, Brazil has 218 million active mobile connections (for 207 million inhabitants), and 79 percent of them are through smartphones, which are owned by 84 million people. 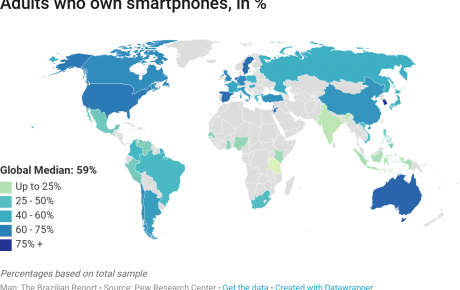 However, only 55 percent are already connected to 4G technology. While Brazil’s numbers are the best in the region, they only serve to reflect how far behind Latin America is. In Mexico, for example, only 24 percent of the country’s 109 million mobile connections are powered by 4G. In February 2017, Brazil’s federal government launched the 5G Project, a public-private initiative aiming at creating an ecosystem for 5G technology-based services. The many goals of the project include the development of the Internet of Things (IoT) industry in Brazil. The Ministry of Telecommunications also signed a memorandum of understanding with Chinese mobile phone producer Huawei for research and development cooperation. But while the world is getting ready for 5G, Brazil’s National Telecommunications Agency (Anatel) has another priority for the time being: to provide broadband services to the entire Brazilian territory, covering the numerous “black holes” in internet coverage. 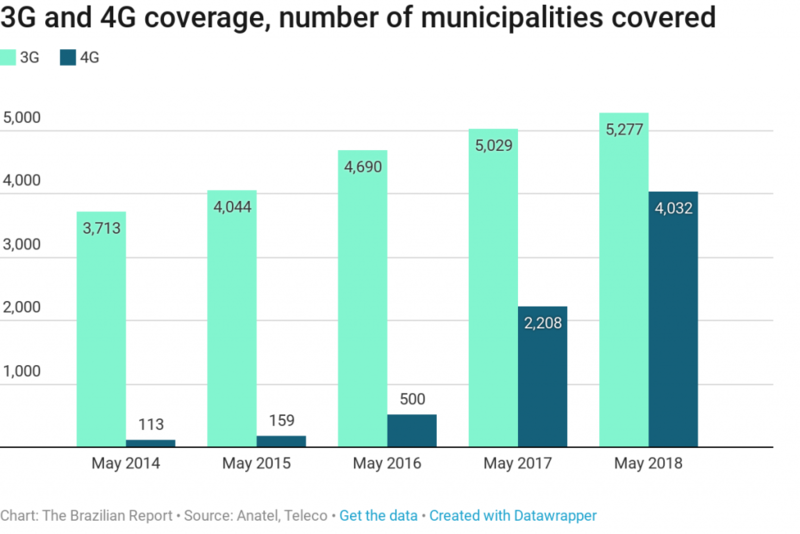 While 4G already covers almost 4,000 municipalities (which concentrate 94 percent of the population), nearly 2,000 locations are still not even covered by 2G – which are used only for voice calls, with no internet access. Even in the state of São Paulo, the country’s economic heart, there are some cities still without coverage. “There’s no point in talking about 5G, IoT, artificial intelligence, or self-driving cars before we do the basics,” said Anibal Diniz, a director of Anatel, to the press. And by “basic,” he means financing new fiber-optic networks nationwide. Twenty years after privatizing Brazil’s telecommunications system, the sector remains riddled with challenges. Broadband internet connections and fiber-optics have advanced, but are still out of reach for Brazilians living in more isolated areas – or who can’t afford the reasonably pricey internet packages. According to Anatel, only 62 percent of municipalities have fiber-optic networks. And regional discrepancies are flagrant. 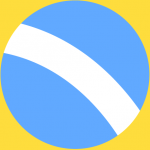 In the northeastern state of Piauí, only 16.5 percent of towns have fiber-optic networks. 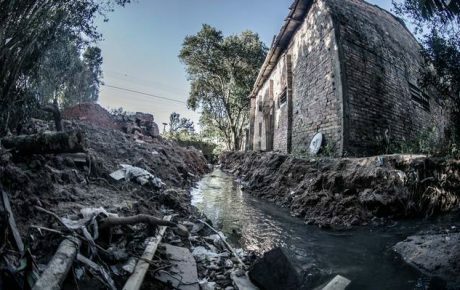 In Minas Gerais – a state divided between a rich southern portion and an impoverished northern region -, coverage reaches only 40 percent of municipalities. For analysts and associations of the sector, Brazil’s main difficulties to amplify access is the fact that the country’s legal framework hasn’t kept up the pace with the rapid technological changes in telecommunications. Our legislation was drafted in another era – where the internet wasn’t an issue, and the country’s priority was to universalize the access to fixed-line telephone services. In 1998, the government privatized the Brazilian telecommunications system for BRL 22 billion at the time (which, adjusted for inflation, would be the equivalent of BRL 76 billion today). At the time, Brazil had only 17.5 million fixed-line connections. Brazilians paid what would be BRL 1,000 today for a new line – and the waiting time could reach up to two years. A telephone line was an asset, to the point that you’d have to declare it on your income taxes. To this day, companies – which operate under a public concession system – are obligated to invest a combined BRL 450 million per year to maintain pay phones around the country. Telecom companies are lobbying for a new law for the sector, which would establish the current model of concessions to a model of authorization under the private regime – which would give companies more freedom to set prices and choose the regions of their operations, since there will be no requirements to provide their services in the entire country. And that could be detrimental to the very customers that already have little access to telecommunications.